Light and agile, dynamic and sharp. 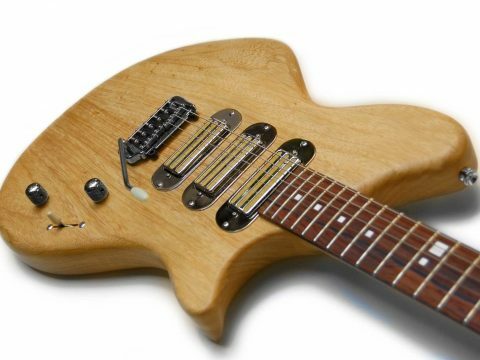 The Jacaranda JK is the new electric guitar made by Jacaranda: the result of a learned and skillful second reading of the offset design that proposes a modern take on the great classic tones of the origins of rock music. 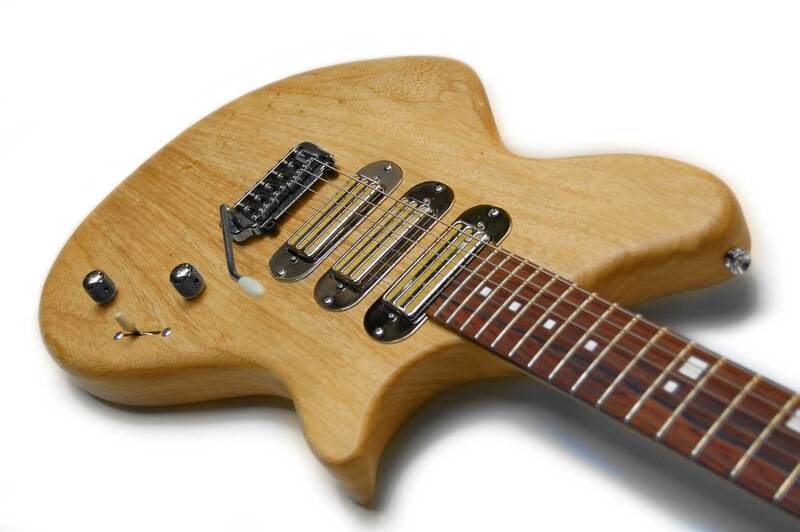 Quite differently from the '60s models from whom it takes inspiration, the Jacaranda JK offers a supreme construction, with a set-in neck, fine woods, and a very particular choice of pickups and hardware, in search of a unique and original tone. 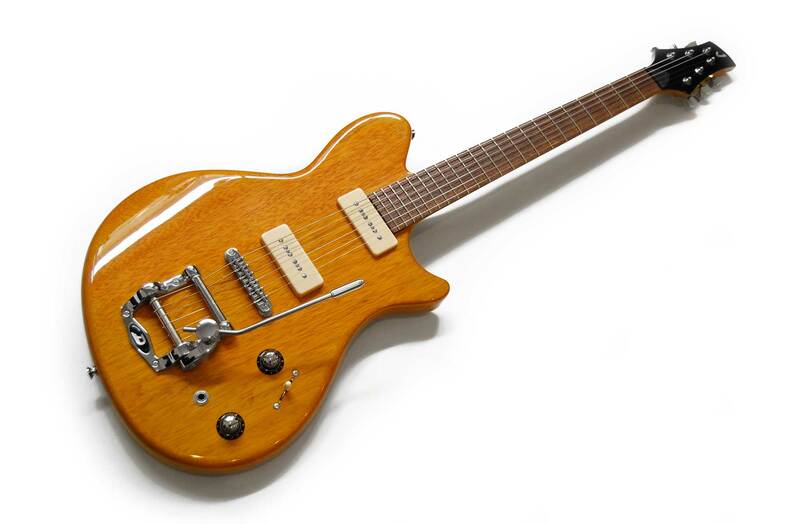 Conceiving the new Jacaranda JK we decided to dare to part with habits and to broaden our view to the offset world: guitars that refer to the 60s and surf music, to a certain style in guitar building - also typical of the Italian production of the same period (consider Eko). 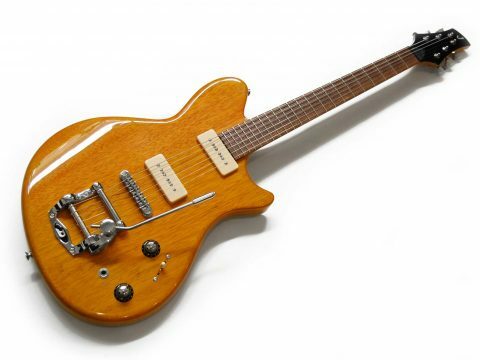 Many guitars of that era often had an outstanding look and eye-catching shapes but likewise often they were poorly built, with second choice materials or design and penalizing technical choices. Even Jaguars and Jazzmasters - the most famous Fender offset - were somehow doomed by planning oversights that ended up in failure, delivered only after decades. The JK takes the best from those models - the "airstreamed" shape with its visual reference to speed and tension - blending it with choices that correct those failures, thereby enhancing value and playability, thanks also to a very comfortable, ergonomic design. Built in light and resonant Korina wood, the Jacaranda JK has a feature that differentiates it from the offset guitars usually available: the set-in neck with long tenon. Some models we built have a long scale (25.5"), some have a shorter one (24.75"). 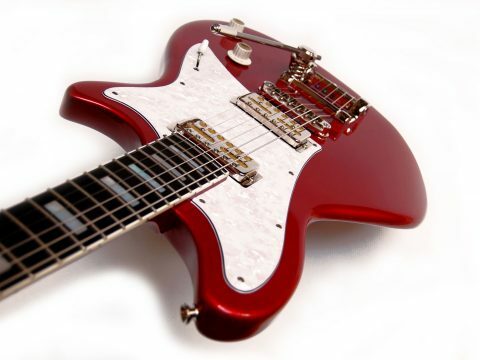 They sport pickups that allow exaltation of its tonal features, in search of a fat but bright and ringing voice: a result obtained by mounting Gold Foil pickups made in the UK by Mojo Pickups - a great reproduction of the original Teisco models - as well as with some mini-humbucker, usually present on Gibson Firebirds. Another interesting option is using P90s. In this case our choice goes to the ones made by Häussel; slightly darker and hotter than Gold Foils, but roaring and fascinating. 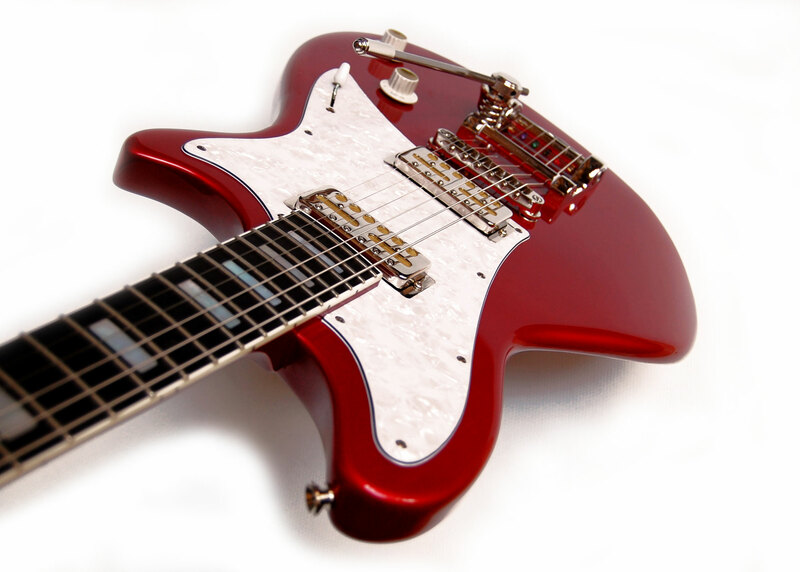 We offer the Jacaranda JK with Bigsby-style tremolos made by Duesenberg, that have a very smooth action and allow a better control on the arm position. As an alternative we offer a full-floating Hipshot tremolo. Obviously any other option is possible, but these ones that we experimented with on our prototypes and on the first models in production are the ones that revealed the sound we had in mind; vibrant and open, but at the same time fat and powerful, for an instrument capable of a great dynamic and versatility.